It was not easy at first, but my wife and I had found that God blessed us greatly when we honored Him with a tenth of all that He gave us. In time, it was the most natural thing in the world to sit down and write our tithe check along with all the first of the month bills. But when we heard that there was a second tithe, it came as a total surprise. We had read the Bible for years and had never encountered it-or at least had not noticed it. No one had a booklet or a tape on the subject, so we had to sort it out for ourselves. The first place I looked to study the subject was my trusty Cruden’s Complete Concordance. There, to my surprise, I found a concise, but remarkably complete statement on the subject. I will reproduce it here, in part, for your convenience. There are two important things to notice about this instruction. First, God gave all the tithe to Levi. It wasn’t part of the tithe or all of the tithe in some years, it was simply all of the tithe. Second, the tithe was given to them “for an inheritance,” and for the work they did. The “for an inheritance” phrase refers to their personal income, while the expression “for their service” refers to the expenses of doing the work. The use of the second tithe is described beginning in Deuteronomy 14:22. These are called “pilgrimage festivals” by commentators, because the Israelites could not keep them at home (unless home happened to be Jerusalem). They were required to travel some distance to appear before God in a “Holy Convocation”-a commanded assembly. These were not solo acts of worship, but collective worship with God’s people from all over. All this is set in ancient economic terms, but it is not hard to translate into our system. For one thing, most of us are paid in money in the first place, so we have no exchanging to do in order to have money for travel. We also tend to incur more expense in travel. Festival tithe today can be used for air travel, accommodations on the way, preparations on the car if you drive (new tires, tune up, fan belts and hoses, oil changes, etc.) gifts and clothing for yourselves and your children. At the feast, it can be used for the best food and drink you can find, gifts for family and friends, souvenirs-indeed, anything you want within reason. It is fascinating to realize that God did not merely command attendance and then leave it to us to decide how much we needed. It doesn’t take much thought to realize that if we don’t lay up for the feast, then a lot of us won’t have money to go. And even those who do will not be as generous with themselves or their families as they would if they had more than enough. The very idea behind the festival tithe is that we have more than enough. But what if you have too much? For one thing, the scripture says not to forget the Levite (the Levites were apparently not required to save a second tithe). You can add festival tithe to you holyday offerings if you wish (Deuteronomy 16:16, 17). You can even save it over until next year-maybe someday you will have enough second tithe to join the brethren in England or Australia for the feast. But isn’t the second tithe a burden for many? Maybe. But consider the burden God has removed from us in relieving us of Christmas. When we consider what the average family spends on Christmas, with parties, presents, decorations, travel, clothes, interest on charge cards, etc., the second tithe doesn’t look nearly so heavy. When we add Easter, Halloween, Valentine’s Day, and all the rest, it seems even lighter. Then consider the cost of family vacations, and the festival tithe is no burden at all. On the other hand, suppose you lose your job part way through the year. You are out of food, and out of money, with two kids to feed. All you have is $538.00 in festival tithe in a bank account. What then? Can you use it to feed your children? It came to pass on a day that Jesus and His disciples were walking through a grain field on the Sabbath day, and the disciples plucked some grain and began to eat it. When the Pharisees saw them, they challenged Jesus: “Behold, thy disciples do that which is not lawful to do upon the sabbath day” (Matthew 12:2). Jesus simply told the Pharisees that there were times when human hunger was more important than the letter of the law. Make no mistake about it, the festival tithe has not been abolished any more than the festivals themselves, but if a family has a genuine emergency, the saved festival tithe can be a lifesaver. Imagine their straits if they didn’t even have that! How do you know? Have you tried it? There are times in life when a leap of faith is required, and the festival tithe is one of the shortest leaps of all. The tithe never leaves your control. It is not nearly the leap required of the widow who encountered Elijah. The story is told in I Kings 17. God had told Elijah to got o the town of Zarephath, and that He had commanded a widow woman there to sustain him. When he got there, he found her gathering firewood and asked her for a drink of water. While she was getting it, he also asked for a morsel of bread. She replied, “As the LORD thy God liveth, I have not a cake, but an handful of meal in a barrel, and a little oil in a cruse: and, behold, I [am] gathering two sticks, that I my go in an dress it for me and my son, that we may eat it, and die” (I Kings 17:12). The woman did as he said, and all three of them had food for the remainder of the drought. First, a little commentary: the third tithe was distinguished from the first and second tithes by its use. The first tithe was given entirely to the Levites for the service of God. Since that service went on every year, this tithe in the third year had to be an additional tithe. The second tithe was eaten by the man who saved it along with his family. The third tithe was eaten by the poor. The expression “within thy gates” is also important. The second tithe could not be eaten in one’s home town (unless that home town happened to be the location of the festival). The third tithe, on the other hand, was to be laid up in one’s home town. It was to be there for easy access by the poor. There have been a lot of judgments rendered over the years relative to these tithes. 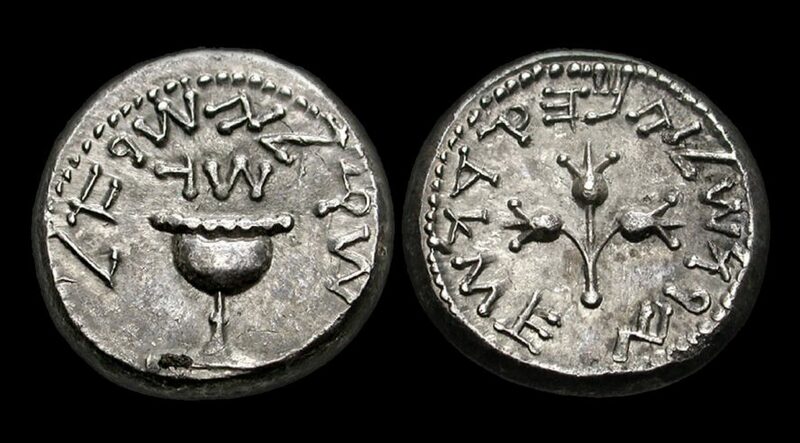 Some Jewish authorities suggested that there was no third tithe-that during the third year, the second tithe was for the use of the poor. But that would have meant there would be no feast in the third year. Other authorities have decided that the third tithe was to be laid aside every third year or the third and sixth year of a seven year cycle. But this passage begins “At the end of three years,” and is followed by the same formula, “the end of seven years.” There is no mention of the sixth year or of “every three years.” It appears that the tithe of the third year was just that-an extra tithe in the third year of a seven year cycle. It is not hard to understand how an ancient authority, concerned about revenue to take care of the poor, might double up on the third tithe. Nevertheless there is nothing in the law to require it. The third tithe seems to be required to finish off the claim of God’s blessing, but there is no suggestion of more than one year in seven. The third tithe was, in fact, the welfare, or social security system of ancient Israel. The ministry of the Church of God, while affirming the first and second tithe, decided long ago that the governments of most modern nations have taken over the third tithe. Let me explain. Over a seven year cycle, a faithful Hebrew following the letter of the law would have given an extra tithe only one year out of seven. Assuming that his income was a thousand talents a year, he would have paid 700 talents in first tithes over a seven year period. In the same period of time, he would have paid only 100 talents in third tithe. Over time, the third tithe only amounted to one seventh of a normal tithe. Put another way, if you earned 20,000 dollars per year, your third tithe would average only $285.00 per year-a small enough amount to give to the poor. A modern equivalent of the third tithe system is the social security and welfare system of the United States. In social security alone, you pay (or your employer pays for you) 15 percent of your 20,000 dollar income. This amount to a cool 3000 dollars per year-every year, not just one year in seven. The ministry concluded that the third tithe was covered rather throughly by that amount of money. And that is not all you pay. A substantial amount of your federal income tax, your state and local taxes, and the sales taxes you pay from day to day, goes to help the poor in one way or another. But the third tithe, as such, is not applicable in any society with a tax based program to help the poor. It has not been abolished or repealed, it is just that the government is doing it, however badly. Just before the example of the disciples plucking corn on the Sabbath, Jesus said: “Take my yoke upon you, and learn of me; for I am meek and lowly in heart: and ye shall find rest unto your souls. For my yoke is easy, and my burden is light” (Matthew 11:29). God’s “tax” for the poor was indeed much lighter than what we have to pay today. May God give you the grace and courage to take His yoke upon you, and may He look down and bless you richly for the leap of faith.